WAIST HIGH: INXS: The Very Best To Be Released On October 21. 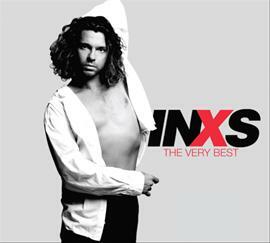 INXS: The Very Best To Be Released On October 21. Universal Music are releasing a career-spanning INXS compilation album on Oct. 21 which will be available in a 1CD collection and a 2CD + DVD package. The 1CD edition includes 20 songs and the 3-disc package includes a 45 minute documentary featuring never-before-seen interviews with Michael Hutchence, various remixes and promotions, and performances on Top of the Pops and Jools Holland. All tracklistings and pre-order links can be found at michaelhutchence.com.